SAN RAMON, Calif.—(BUSINESS WIRE)—An international tribunal administered by the Permanent Court of Arbitration in The Hague has issued an award in favor of Chevron (NYSE: CVX) and its indirect subsidiary, Texaco Petroleum Company (TexPet), finding that the Republic of Ecuador violated its obligations under international treaties, investment agreements and international law. The tribunal unanimously held that a $9.5 billion judgment rendered against Chevron in Lago Agrio, Ecuador, in 2011 was procured through fraud, bribery and corruption and was based on claims that had been already settled and released by the Republic of Ecuador years earlier. The tribunal concluded that the fraudulent Ecuadorian judgment “violates international public policy” and “should not be recognised or enforced by the courts of other States.” As a matter of international law, this award confirms Chevron is not obliged to comply with the Ecuadorian judgment. The tribunal held that Ecuador breached its obligations under a 1995 settlement agreement releasing TexPet and its affiliates from public environmental claims—the same claims on which the $9.5 billion Ecuadorian judgment is exclusively based. The tribunal found “TexPet spent approximately $40 million in environmental remediation and community development under the 1995 Settlement Agreement” carried out by a “well-known engineering firm specializing in environmental remediation” and that Ecuador in 1998 executed a final release agreement “certifying that TexPet had performed all of its obligations under the 1995 Settlement Agreement.” The tribunal found “no cogent evidence” supporting Ecuador’s claim that TexPet failed to comply with the terms of the remediation plan approved by Ecuador. To the contrary, the award recites the sworn testimony of Ecuadorian officials that TexPet’s “technical work and environmental work was done well,” while Ecuador’s national oil company “during more than three decades, had done absolutely nothing” to address its own environmental remediation obligations in the area, even though Ecuador and its national oil company received 97.3% of the oil production revenues from the project. The award further recounts in detail the testimony of numerous former members of the plaintiffs’ environmental team and scientific experts who admitted under oath that they found no evidence to support the plaintiffs’ environmental claims against Chevron and TexPet. The tribunal found that Nicolas Zambrano, the Ecuadorian judge purported to have drafted the Lago Agrio judgment, did not in fact draft the judgment but rather, “in return for his promised reward, allowed certain of the Lago Agrio Plaintiffs’ representatives [including attorneys Fajardo and Donziger], corruptly, to ‘ghostwrite’ at least material parts of the Lago Agrio Judgment.” The tribunal described the conduct as “grossly improper by any moral, professional and legal standards.” Finding that “judicial bribery must rank as one of the more serious cases of corruption, striking directly at the rule of law, access to justice and public confidence in the legal system; and also, as regards the foreign enforcement of a corrupt judgment, at the law of nations,” the tribunal held Ecuador responsible for denying justice to Chevron. The tribunal also found that the plaintiffs’ legal team had inappropriate secret meetings with several judges who presided over the litigation, blackmailed one of the presiding judges, bribed the supposedly independent court-appointed environmental expert Richard Stalin Cabrera, ghostwrote the Cabrera report on which the judgment relies for environmental findings, orchestrated collusive criminal proceedings against TexPet’s lawyers, paid bribes to former judge Alberto Guerra to draft orders for Zambrano, and devised and implemented a “covert” and “nefarious” plan to ghostwrite the judgment which then Judge Zambrano issued under his name in exchange for a promised $500,000 bribe payable from enforcement proceeds. Comprised of three preeminent international arbitrators, the tribunal issued its award unanimously. The tribunal’s award aims to “wipe out all the consequences” of Ecuador’s internationally wrongful actions, and it grants Chevron several forms of relief. The tribunal orders Ecuador to take immediate steps to remedy its internationally wrongful conduct, including rendering the $9.5 billion judgment unenforceable, precluding the Plaintiffs or any interested party from enforcing the judgment, and ensuring that Chevron has no liability or responsibility for the judgment. It also orders Ecuador to abstain from receiving any proceeds from the fraudulent judgment, and to promptly return any such proceeds that come into its possession. The award holds Ecuador liable for any cost or damage to Chevron should the judgment ever be enforced anywhere in the world. 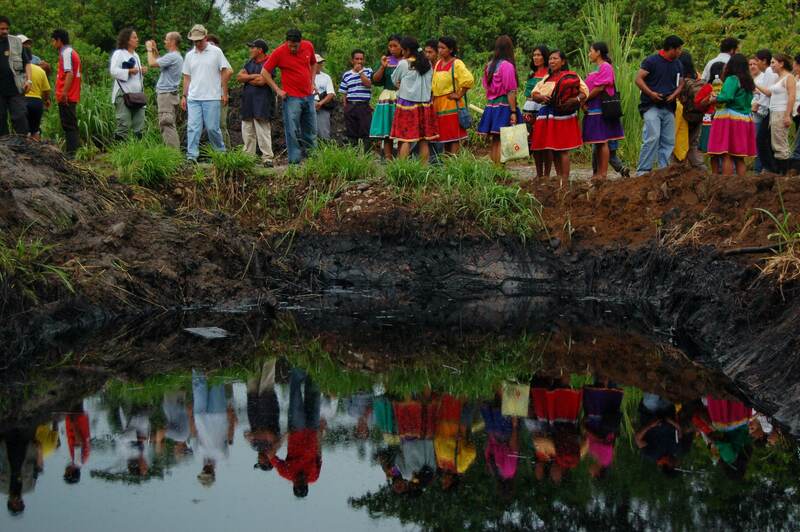 Finally, the tribunal orders Ecuador to compensate Chevron for any damages arising from the fraudulent Judgment. The tribunal will address the extent of damages for which Ecuador must compensate Chevron in the next and final phase of the arbitration. As found by the tribunal, Chevron has never operated or had assets in Ecuador. Texaco Petroleum (TexPet), which became an indirect subsidiary of Chevron following Chevron’s acquisition of Texaco Inc. in 2001, was a minority partner in an oil production consortium in Ecuador along with the state-owned oil company, Petroecuador, from 1964 to 1992. Petroecuador took over TexPet’s share of the oil operations in 1992. Pursuant to a 1995 agreement with Ecuador, TexPet agreed to remediate certain environmental impacts in the former concession area while Petroecuador assumed responsibility for performing any remaining environmental cleanup. To perform the remediation work, TexPet engaged a well-known engineering firm specializing in environmental remediation. The government of Ecuador oversaw and certified the successful completion of TexPet’s remediation and fully released TexPet from further environmental liability. Petroecuador failed to conduct the cleanup it promised and has continued to operate and expand its oil operations for more than 25 years. Chevron filed an international arbitration claim against the Republic of Ecuador in 2009 pursuant to the U.S.-Ecuador Bilateral Investment Treaty seeking to hold Ecuador accountable for breaching the settlement agreement with TexPet and to enforce the releases. Chevron then amended the claim in 2012 to include the denial of justice that occurred through the Ecuadorian court’s fraud and corruption during litigation and the resulting fraudulent $9.5 billion judgment. The tribunal, administered by the Permanent Court of Arbitration in The Hague, said the Republic of Ecuador violated its international law and treaty obligations by issuing, affirming, and enforcing a fraudulent judgment against Chevron, because the Lago Agrio litigation was marred by fraud, bribery, and coercion perpetrated by the Plaintiffs’ attorneys in collusion with Ecuador’s courts. The award was issued unanimously by all three members of the tribunal, including Ecuador’s appointed arbitrator. In 2014, a U.S. federal court found that the Ecuadorian judgment was the product of fraud and racketeering activity, including extortion, money laundering, wire fraud, witness tampering, Foreign Corrupt Practices Act violations and obstruction of justice. The court also prohibited enforcement of the Ecuadorian judgment in the United States. That decision is now final after having been unanimously affirmed by the court of appeal and denied review by the Supreme Court. In January 2017, a Canadian court rejected an attempt to enforce the Ecuadorian judgment against Chevron’s Canadian subsidiary. An appeals court upheld this decision in May 2018. In October 2017, a court in Argentina denied recognition of the Ecuadorian judgment. An appeals court upheld the decision in July 2018. In December 2015, the Supreme Court of Gibraltar issued a judgment against Amazonia Recovery Ltd., a Gibraltar-based company set up by the plaintiffs’ attorneys to receive and distribute funds resulting from the Ecuadorian judgment, awarding Chevron $28 million in damages, and issued a permanent injunction against Amazonia to prevent the company from assisting or supporting the case against Chevron in any way. The court issued a similar ruling in May 2018 against directors of Amazonia, Frente de Defensa de la Amazonia, Ecuadorian attorney Pablo Fajardo, and Servicios Fromboliere for their role in attempting to enforce the ruling, this time awarding $38 million in damages to Chevron. Chevron Corporation is one of the world’s leading integrated energy companies, with subsidiaries that conduct business worldwide. The company is involved in virtually every facet of the energy industry. Chevron Corporation’s subsidiaries explore for, produce and transport crude oil and natural gas; refine, market and distribute transportation fuels and lubricants; manufacture and sell petrochemical products; generate power and produces geothermal energy; provide energy efficiency solutions; and develop the energy resources of the future, including biofuels. Chevron Corporation is based in San Ramon, California. More information about Chevron is available at www.chevron.com.